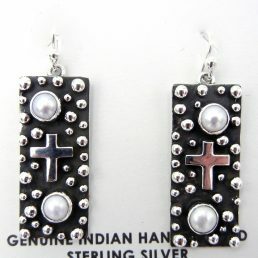 The best selection of authentic Navajo jewelry in Albuquerque is ready for your viewing at Palms Trading Company. For decades, we’ve worked with the Navajo Nation to share their incredible handmade crafts with the world. We invite you to browse our collection and discover jewelry that embodies the rich culture and astonishing beauty found only in the Southwest. 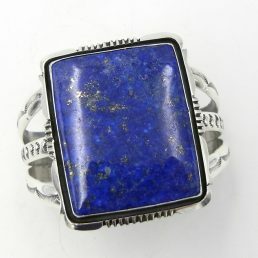 The best way to acquire any authentic Navajo jewelry is to purchase it directly from the artist. Palms Trading Company is proud to have developed strong relationships with many Southwestern tribes and Pueblos over the last sixty years. 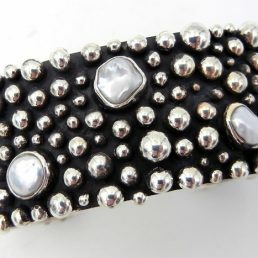 We guarantee that each piece of jewelry in our store and on our website is 100% authentic. When you shop with Palms, you can be confident that the jewelry you buy is literally one-of-a-kind. 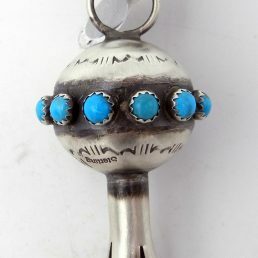 The Navajo Nation is recognized for their silver and turquoise jewelry. 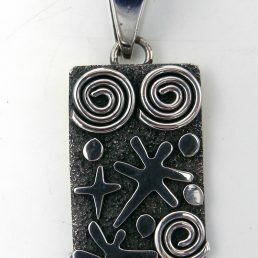 Much of their jewelry is created using chunky stones set in sterling silver bezels. Although turquoise is often the featured gem, these artists may also use spiny oyster shell, coral, amber and other natural gemstones in their creations. 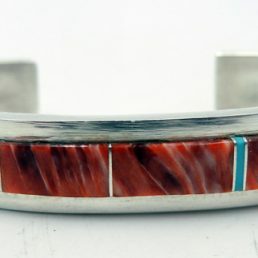 The Navajo also create simple sterling silver pieces without stones, produced using techniques like hand-stamping, sandcast and overlay. Featuring creations by renowned Navajo artists, we have a selection of necklaces, rings, earrings and bracelets that will cater to every style. 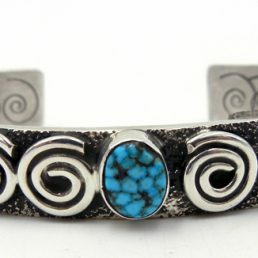 Stand out with Alex Sanchez’s signature petroglyph designs that come alive with beautiful turquoise. Embrace nature with a Peterson Johnson piece characterized by leaf and flower designs. Fall in love with Vincent Platero’s hand-stamped patterns crafted in heart and butterfly shapes. No matter your taste, we’ve got a piece of authentic Navajo jewelry that you’ll cherish for years. 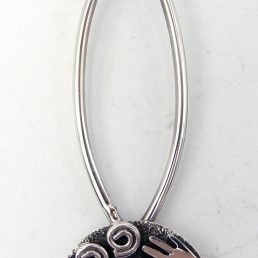 Palms purchases jewelry directly from Navajo artists, ensuring that each unique piece is an original work of art. 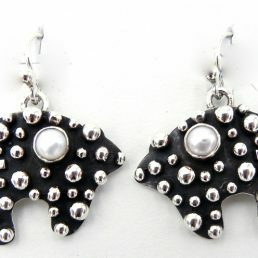 Our collection of handmade Native American crafts is unlike any other. Browse our selection today and allow one of our personal shoppers to help you select an iconic piece of jewelry you can’t find anywhere else. 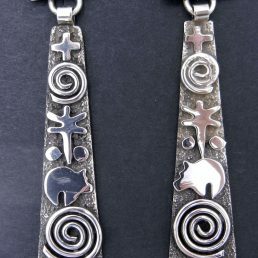 From turquoise necklaces to hand-stamped sterling silver bracelets, Palms Trading Company has an assortment of authentic Navajo jewelry that will fit any style.